The Mission Playhouse is a historic theater and the proud owner of an instrument with an equally unique and fascinating story. This beautiful instrument was originally built for the Albee Theater in Brooklyn NY in August of 1924, five months before the theater opened in January of 1925. When the Albee decided that they no longer wanted to keep the organ, through the efforts of the American Theatre Organ Society, and the Los Angeles chapter, it was donated to the Mission Playhouse which has been it’s permanent home ever since. Over the years, the organ has undergone extensive refurbishment both through the combined efforts of volunteers and generous donations provided by Peter Crotty through his charitable fund. Want to know more? 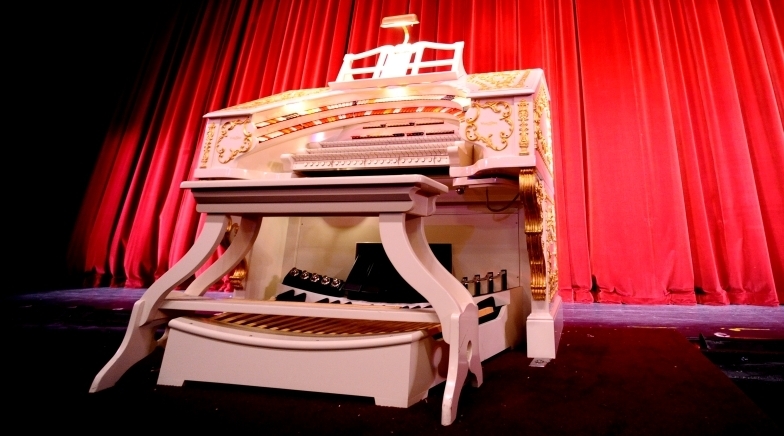 Download the Mission Playhouse Wurlitzer History by Los Angeles Theatre Organ Society member and Playhouse volunteer Donn Linton or view images in our gallery. The Pasadena Star News recently published an article on Donn’s 40+years of service at the Playhouse. Click here to read the article.